Sunglasses? Check. Map and compass? Check. Stethoscope? Check. 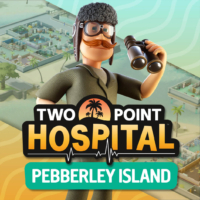 We’re ready for an expedition to Pebberley Island, as Two Point Hospital’s second DLC is out now on Steam for €8.99! To celebrate, famous part-time explorer and germaphobe Wiggy Silverbottom enlisted the help of chap-hop artist Professor Elemental in his new music video. Two Point Hospital adds SEGA and Special Guest IP items in-game to celebrate its Open Surgery Free Weekend and SEGA Steam Sale! Get your scrubs and surgical gloves at the ready, as Two Point Hospital is hosting its Open Surgery Free Weekend on Steam until 6pm CET, 18 March 2019. 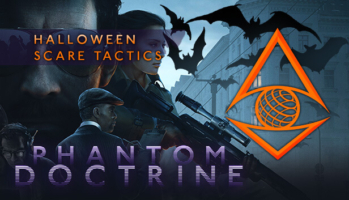 To celebrate, Two Point Studios are teaming up with SEGA studios Amplitude, Sports Interactive and Creative Assembly to bring exciting new items to the game. 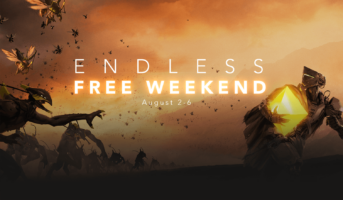 we’re offering up ALL of our games to play for FREE on Steam this weekend from Thursday at 17:00 CEST through Monday at 17:00 CEST.